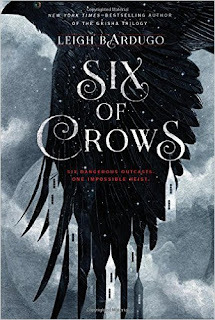 Review: Wow-Leigh Bardugo is quickly becoming one of my favorite authors. I loved the Grisha series and this new series takes place in the same world (although the Grisha was focused on Russia and this is more Netherlands) with all new characters. This is essentially a YA fantasy version of Oceans Eleven. The world building was excellent, the cast of characters were well developed (LOVED Nina) and I enjoyed the heists. The first heist consists of breaking a prisoner out of a secure prison, while the second is breaking into the most secure building to rescue a scientist. I loved this!